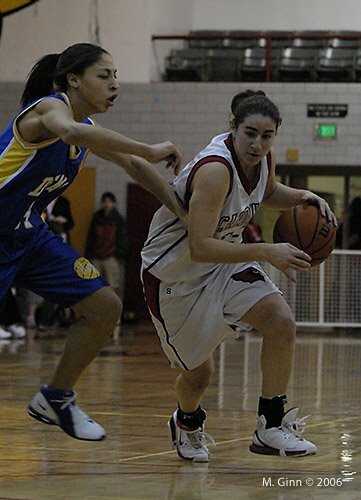 Lincoln High School’s Lauren Greif drives past a Jefferson defender during the last home game of her high school career. Lauren was selected as the PIL Girl’s Basketball player of the year for 2006. This year she will be playing at UC Berkeley. Lincoln is the high school nearest to me, and one of the largest in the city.